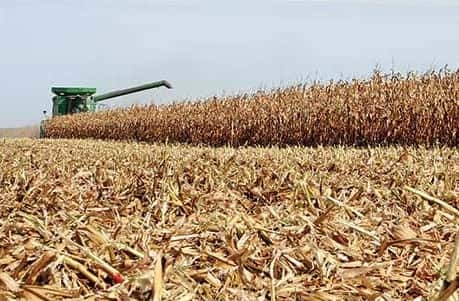 Last week was another good one for farmers throughout Iowa, according to the latest crop progress and condition report from the United States Department of Agriculture. Iowa farmers had 5.3 days suitable for fieldwork, and took advantage of that by both harvesting and preparing their fields. Reported activities included harvesting corn and soybeans, baling stalks, anhydrous and manure application, fall tillage, tile repair, and planting cover crops. To this point, around 72% of the corn crop has been collected statewide, which puts this harvest season three days ahead of last year, but one day behind the five-year average. Similarly, the soybean harvest is currently 88% complete, putting it two days behind last year and six days behind the average. Extensive rainfall in the first half of autumn, followed by an early killing freeze, were the primary culprits behind the delay in harvest. The rainfall over the last few weeks has also left some feedlot cattle stressed with standing water and muddy conditions, though according to the USDA, most of the livestock around the state has been reportedly in good condition.